Every year brings us something new, and it’s awesome. Different things happen in all the spheres of our lives: technologies, economy, politics and fashion never stay the same. This is the reason why it’s so important to keep an eye on the newest trends! Who knows, maybe they will become a wonderful idea for your dropship business. 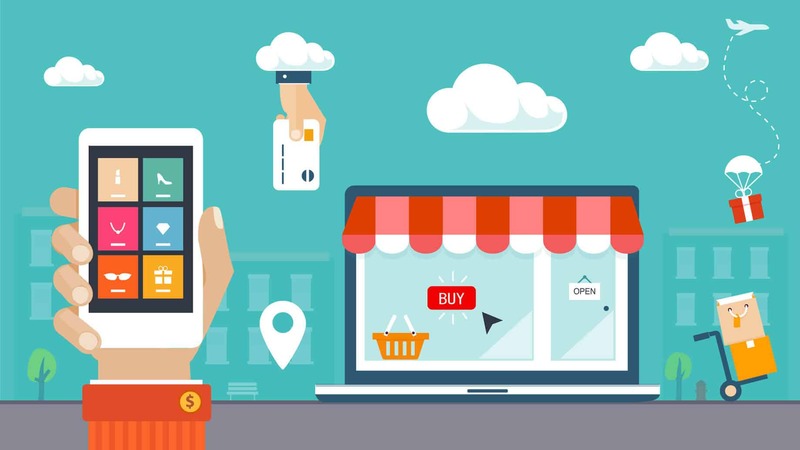 As you know, every new business starts with choosing the perfect niche, and we in AliDropship pay tons of attention to it. We are always happy to share our list of AliExpress dropshipping niches with the highest potential, and today, we’re glad to show you our research of the most curious trends. And for the list of the most fortunate niches for the year 2018, kindly go to this article. These lists will be 100% useful for you if you’re looking for profitable dropshipping niche ideas! Oh, and by the way – if you want to easily calculate the potential of drop shipping niches you’re considering for your store, you can use our free research tool that shows how good is this niche for your business. Unmanned aerial vehicles, also known as drones, are seeing a tremendous boost of popularity. PwC consultants expect drone industry to be worth $127 billion by 2020. Drones provide us with lots of fun. But, as a complicated piece of equipment, they require special maintenance. It means, an emerging niche of drone accessories can turn out to be quite lucrative! There exist lots of types of drone accessories that you can easily find on AliExpress. We don’t recommend selling drones themselves since they cost a lot, and their safe delivery can’t always be ensured. Instead, spare parts and accessories will be your best bet. They are light and small, so they can be shipped to any destination on the globe with no risk of damage. And their price is low, so you can set a nice good markup. For example, there is a wide range of items designed to protect your drone from various damages during transportation and use. Think of carrying cases that safely house a drone along with all the accessories. Also, take a look at propellers and propeller guards that help your drone fly easily and safely. It will also be a good idea to include such items as micro SD cards, LED lighting gears, landing pads, etc. in your store offer. Ericsson ConsumerLab research shows that 70% of information in the Internet exists in the form of video traffic. Analysts agree that the fastest growing form of video traffic is VR, or virtual reality. According to Cisco, this industry will grow 61 times in the period between 2015 and 2020! That means, VR is a wonderful niche with a huge potential. Again, VR headsets themselves are a technically complex item. Still, you can benefit from this niche if you research the VR accessories market. It has an incredible potential because it is very young, and it goes through a rapid innovation. These accessories include VR bags, smart gloves, various movement solutions, devices providing hand and arm tracking, as well as full body tracking, and many more. Even more interesting concepts are expected to appear on the market really soon. 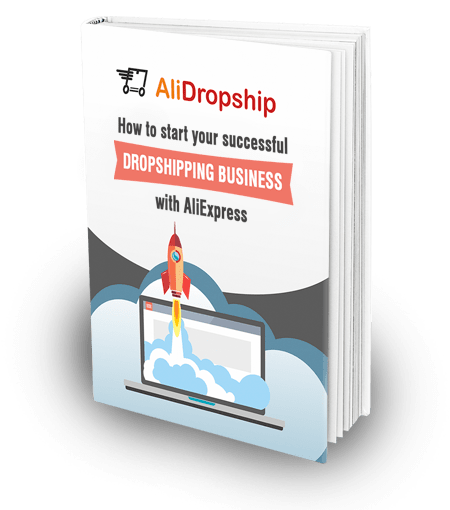 Don’t miss the chance to profit from this wonderful AliExpress dropshipping niche idea! According to analysts from HubSpot online videos will account for 74% of all web traffic. It is also claimed that 78% of people watch videos online every week, and 55% watch such videos every day! No wonder than the audience of video bloggers grows so fast. You can also join this community! Bloggers need a whole range of cheap yet functional accessories to make their videos look and sound interesting, professional, and engaging. Tripods and special lighting accessories help them improve the visual part of videos. Microphones and earphones let them work with sound more professionally. Selling such small and affordable items surely is a great dropshipping niche idea! As you probably know, the constructional design of every new iPhone is different from the previous versions. It means that the owners of the newest models need some very specific phone cases, screen protectors, monopods, earphones, etc. All of these items can be found on AliExpress for a fraction of the cost which makes them perfect for dropshipping business. The same goes for Apple Watch accessories. You can easily find stylish and affordable straps, wireless earphones, chargers, stands, and docking stations on AliExpress. The vaping industry sees an impressive growth, and the whole vaping culture is developing faster than ever. Nowadays it is not simply a trendy habit – it is a whole lifestyle with its own specific culture. Experts all over the globe are still discussing the vaping impact and the necessary regulations. Nevertheless, there are countries like the UK and the US where special festivals and events for vapers take place more and more often. 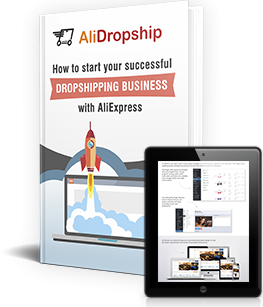 In other words, you can enter this promising AliExpress dropshipping niche and benefit from its growth. AliExpress sellers can offer you numerous vaping accessories like chargers, replacement coils, cases and skins, drip tips, etc., and even extensive vape kits. Small and light, these items are perfect for shipping to any country on the globe. Still, we ask you to carefully check if it is legal to sell these vaping accessories to your target audience. First of all, we want you to be really careful with this niche. There are countries and states where marijuana is legalized, but there are also numerous places where smoking is prohibited by law. So please, check carefully if you can legally sell these accessories to your target audience. Generally speaking, our society gets much more tolerant to marijuana. It is still tested by various medical institutions all over the globe, and it becomes legalized in more and more countries. This is why you can find the widest range of smoking accessories on AliExpress. For example, the sellers on the platform can supply you with bongs, pipes, grinders, ashtrays, and secret stashes. Apart from that, AliExpress can provide you with various collectibles and everyday items decorated with marijuana symbol as well. These include bags, backpacks, blankets, cups and mugs, pillow cases, phone cases, and even jewelry. Parties will always be trending, there’s no doubt about that. Friends’ gatherings and family reunions can bring you all even more fun if you select the accessories carefully. Drinking games and partying supplies can do a lot to create a festive spirit, and they are probably as important as bar tools that you use to mix cocktails and serve drinks. So why not use this dropshipping niche idea for your new venture? Experts worldwide say that green technologies will make a huge difference in 2017. Mostly, they will refer to energy production and use, for example, to more efficient use of energy sources and to search for new ones. Still, the future is not only about shifting towards green energy – it’s also about making our own homes eco-friendly. We ourselves can do a lot to protect our planet even on a basic level of everyday routine. AliExpress sellers can offer you numerous items which we constantly use in our daily life and which make our home a sustainable and safe place. Wooden kitchen utensils, bamboo blankets, LED light bulbs, economical shower heads and many other items can surely be a nice choice for your eco-friendly dropshipping store. Fashion experts and style bloggers all over the globe agree: pins, patches and stickers are a must-have. Tiny and cute, they do a great job of totally transforming your look and customizing your clothes. Even such a small detail can bring a sense of uniqueness and tell a lot about your self-expression. This is why pins, along with buttons, badges, patches, and stickers will be a great choice for your dropshipping store. They don’t cost much on AliExpress, so you can set a nice markup and still get a lot of grateful customers. Also, they are light and convenient for delivery. We live in the 21st century when everyone’s personal choice should be respected. Of course, it refers to many spheres of our everyday life, but clothing is probably the most important of them all. It’s the way we communicate with the outer world, and it’s the way we make ourselves feel safe. As you can see, there exist a wide range of dropshipping niche ideas that are a great choice for entrepreneurs who start their business. Of course, only a tiny part of them is listed in the article. We keep working on our list of the most promising AliExpress dropshipping niches, so you can check it for updates from time to time. Why not use one of these drop shipping niche ideas to start your own profitable business? How did you guys research these products? We used Google Trends to learn about the hottest trends of 2017. We tried to cover as many fields as possible – technology, fashion, lifestyle, etc. Then, we checked these niches on AliExpress to make sure there are enough items. ya, I am trying to figure out how to really see which is the hottest trend in google trend… any tutorial right here ? Please check this article https://alidropship.com/how-to-find-a-niche-market-for-dropshipping-store/ Here you will find information about how to work with Google trends. Great ideas. I am just wondering how to make a branding out of those items and sell them for a living? hey, i searched the rc drones but it seems it has small communites on fb and instagram…. any idea how to get to the audience? Hello, I am really passionate about the Muslim Niche. How do i start, I dont have a niche name yet and i need some guide. Thank you Olga for sharing these ideas on how and where to start..
Hi Olga, great post – tks. Any plans to announce a 2018 list soon or other routes to explore upcoming trends? Anymore ideas other than electronics stuffs? I saw you can custom make a store. How does that work? I already know the field and the name of the shop.